“The false imprisonment of Iranian/American scholar Kian Tajbakhsh and 100 other activists involved in the ongoing democracy movement in Iran deserves our immediate attention. I urge those of us living in a democratic society to speak out against the current Iranian regime’s system of political repression and human rights violations threatening to silence these activists and journalists. Solidarity for the human rights of all those who are oppressed! Thank you to Sting for your words and commitment. Anyone can join the United4Iran movement, see their website and Face Book for local groups. Get informed and join the growing protest for freedom of speech, and upholding the Declaration of Human Rights. the most things we need is support from people like you. in this way we feel we belong to the world and we are not blind. Im so pleased . its really nice to have friends in abroad that they can feel our feelness . Thanks a lot Sir Sting . Thanks a lot for caring Sting! Even though Kian or the others themselves can see this, the thought itself is very valuable! Thanks so much Sting for your support of our people. We appreciate your support against this brutal and un-democratic anarchic government. Long live freedom. We’ll prosecute everyone of them when our time comes. I always had respect for you as an amazing artist. I have a deeper respect for you as a fellow human being who shares the pain and suffering of others and actually does something about it. Love you even more Sting. Thanks Sting for your support. Please do not give up on us. I know in my heart that you and I will see free Iran soon. 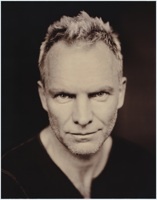 Sting, I admire your wisdom, knowledge and courage. You are one of the few who always care about freedom. I wish other celebrities would step forward like you did for Iranians. We will always remember our friends. but anyway if you read this msg Mr Sting, I know that I can talk in name of all my compatriots, you have our very hight respect & best regards. I love you Sting. Thanks for your support. Thank you for standing by the people of Iran. At a time that repression has reached its hight in Iran, support from people such as yourself is a great encouragement for sustaining our struggle. With much respect. Thanks for your support,We need more people like you,Viva freedom,We love you. Thank you.Influence of people like you can make a difference. Long live all the freedom fighters where ever they are. We relay appreciated your support. Thank you for raising the consciousness of the world. Iran will come out of this spell if awareness is raised. Thank you Sting for your amazing support. It means a lot to us coming from such a great artist. Thank you Sting for your amazing support. It means so much to us coming from such a great artist. Thank you man!!!! Once more you prove you are a good man.Exept a good music you also reburried a man from the field(I think it was you land cant realy remember)not many people knows about it I think they should.I know a lot about Irainians,friend of mine is from there.Once again Thank’s.